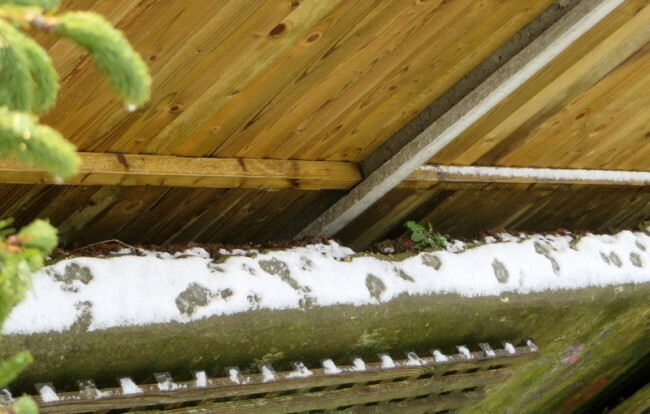 During the first few days of February we had Smatterings of snow, mostly overnight, which didn’t settle for long in GG, though I noticed that by the 4th of Feb. the nasturtiums climbing the front fence were drooping in a sorry state … ah well! 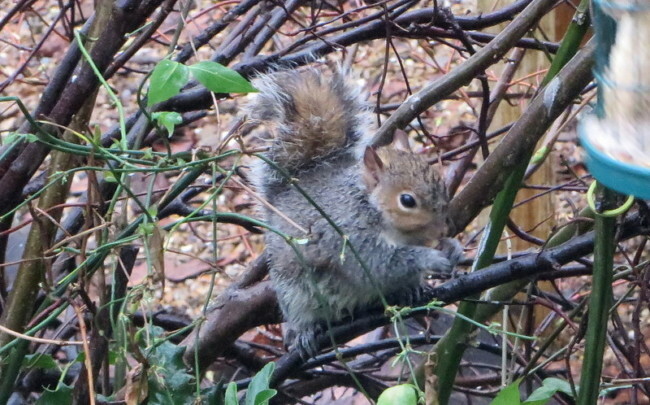 … and so did the little fluffy squirrel. 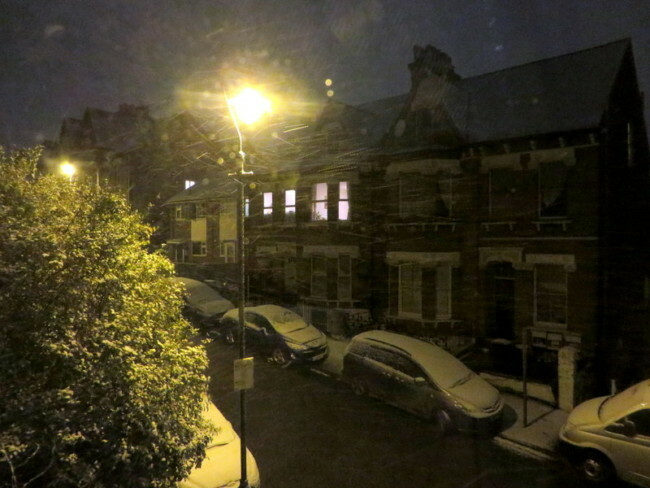 … are these his footprints? On the morning of the 3rd. 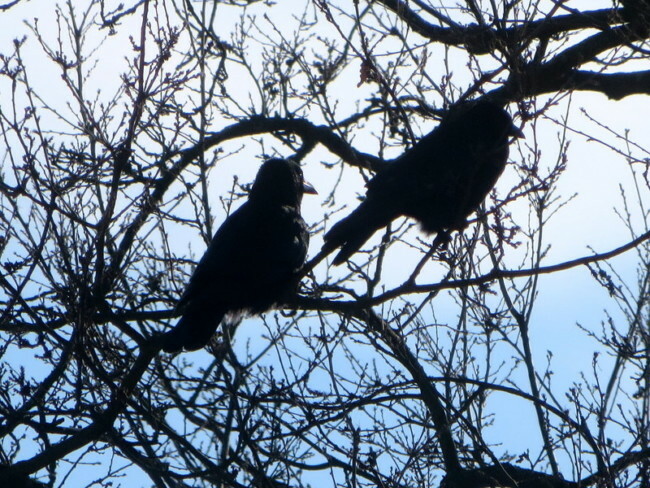 Feb. a silhouetted crow, sitting in the Turkey Oak behind the house, was joined by another before we set off for a muddy walk. 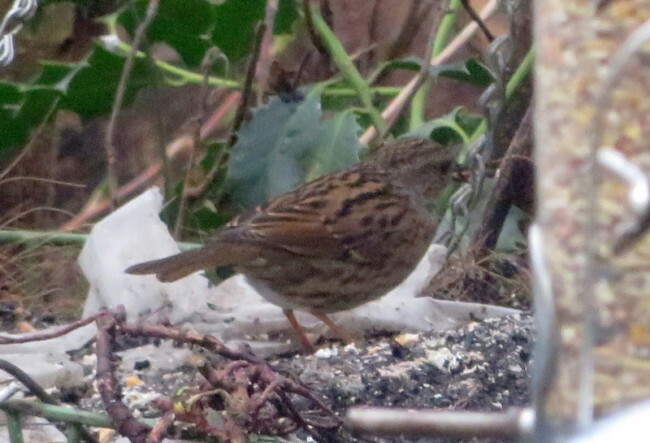 On the 4thFeb I spotted a pretty Dunnock in the Ribe hedge, and later, a Blackbird. 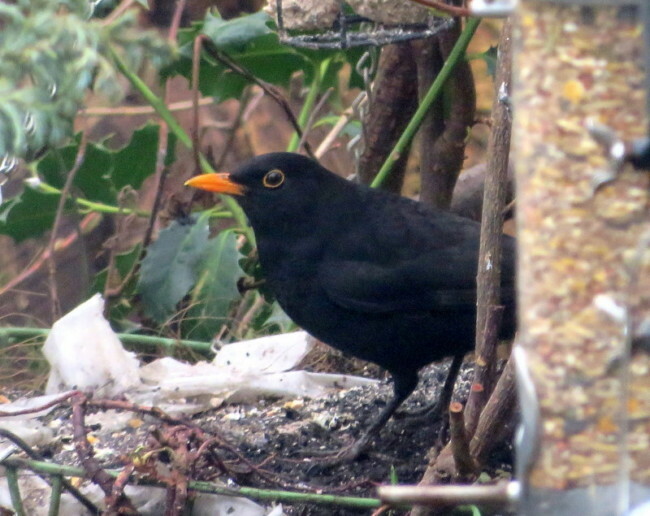 The Blackbird has a mate: I have seen her around GG. 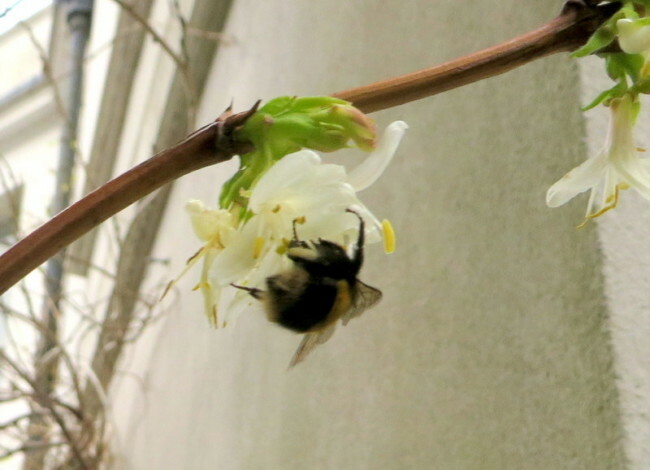 The big, Bumble Bee was in the Lornica again … and again here on Feb 6th. 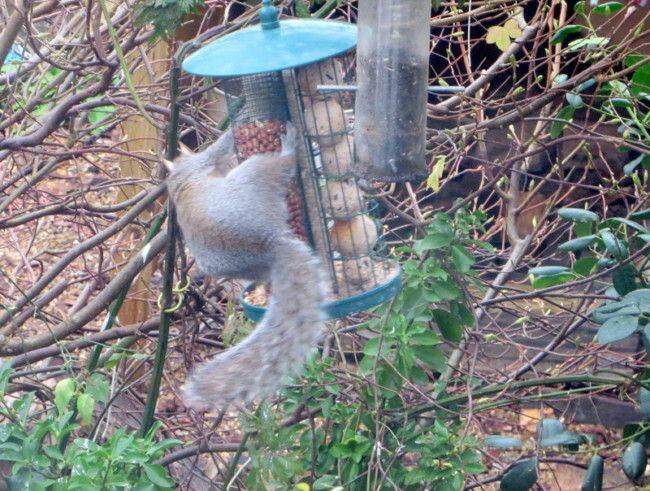 On Tuesday afternoon, 5th Feb, two squirrels spent over an hour racing to and fro along through the Ribe hedge and jumping onto ‘their’ feeder to cling upside down stuffing themselves on peanuts and fat balls. 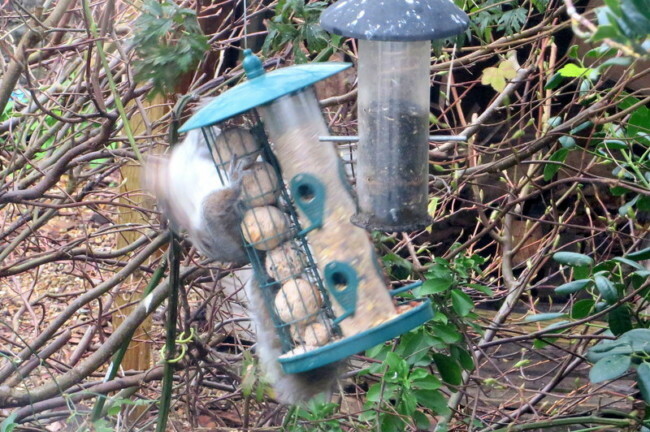 On one occasion a leap missed and Squidge fell to the ground, only to go straight back and again launch itself up onto the wildly swinging, twisting and turning feeder! 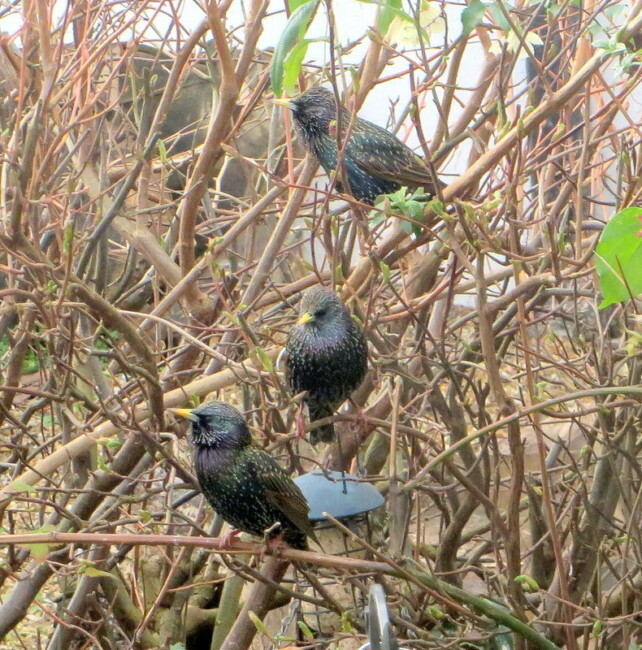 On the 7th Feb. … a gang of Pirates came, sat and glared! 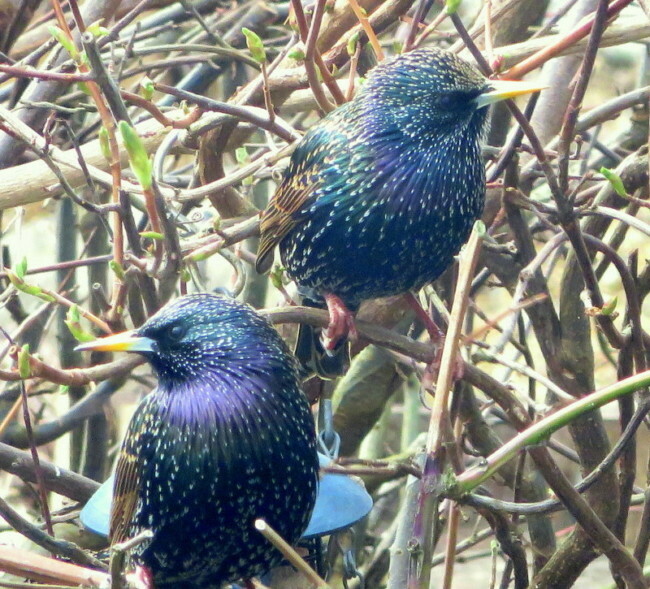 Close up, they are stunning birds! 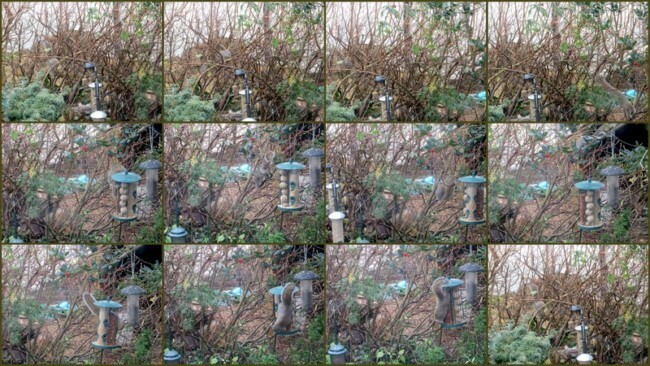 Blue Titmice are abundant this week, and this afternoon I heard the strident double-long-notes of a Great Titmouse, perched in the Privet tree at the front, overlooking the pavement outside … nice! I have also enjoyed hearing the long, arching notes of the Starlings; borrowed perchance from Curlews far away in the countryside? 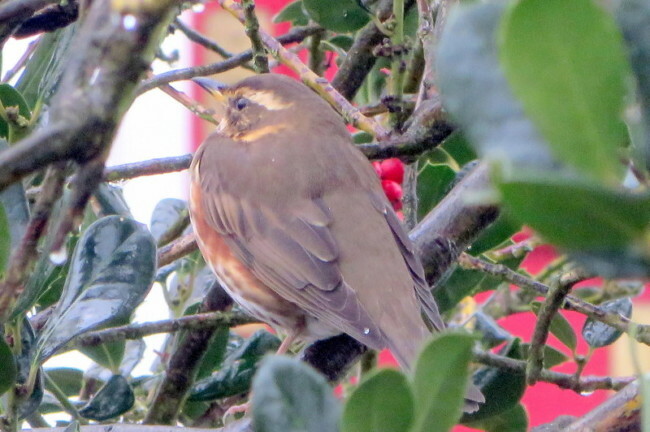 That was whilst I was sweeping up the leaves, at last, from the pathways around GG. I have put them on the corner patch and some into the multi-composter! By the time I had finished it was twilight, so next time, out with the Hoe; that favourite garden weeding implement of so many crossword puzzles! This is the end of a long week. 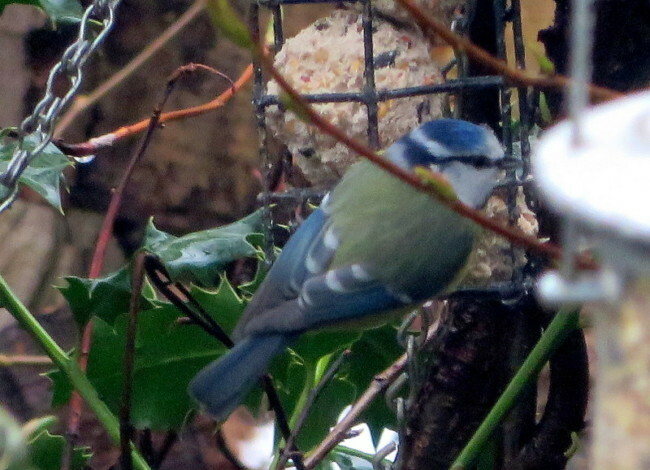 Hopefully tomorrow I will be able to go out and continue the garden tidy up forSpring; but that’s it for now. Oh Thanks Jane … aren’t those the bees that Eric was talking of amongst his beautiful Snowdrops? I love that raised bed Anne. 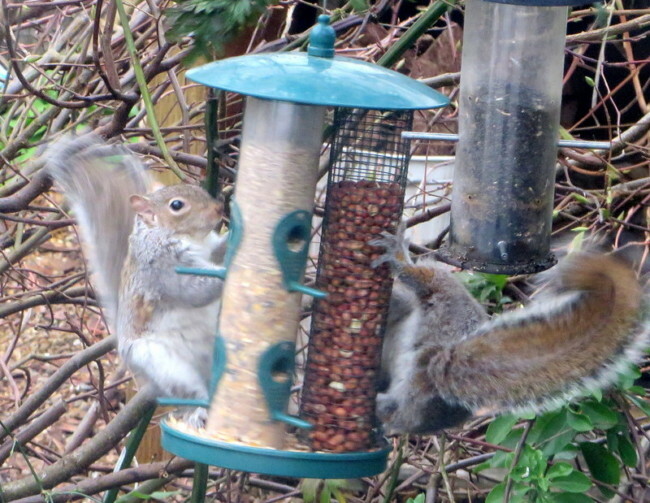 Lots of lovely birds and those naughty squirrels must keep you amused. We still haven’t seen any. My lonicera smells gorgeous every time I go to the car. Dom made the raised bed years’n’years ago … It’s great and has so many uses throughout the year. 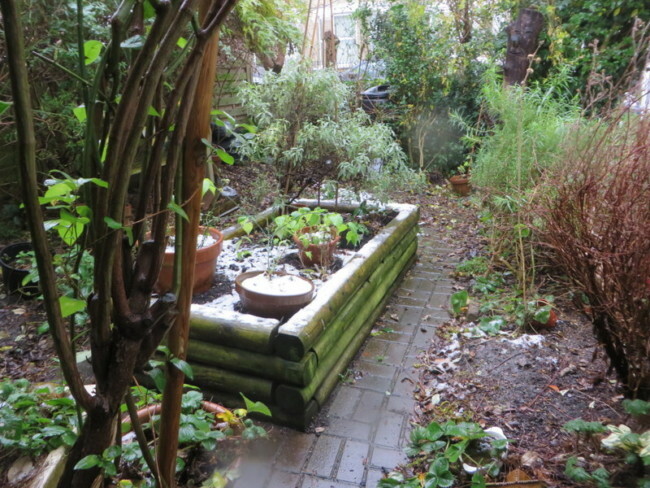 I was looking at old photos of this ‘ front room ‘ recently and was struck by the beauty of freshly laid paths … must really get down to some serious cleaning and possible remaking when the weather is more clement!